What is the Thovallo Sentiment Model? The Thovallo Sentiment Model was developed over many years and measures a mixed series of weighted and non-weighted sentiment data. The purpose of the model to generate reliable longer term market signals (bullish or bearish) using the S&P500 Large Cap Index to which to apply the models outcomes. The algorithms used by the Thovallo Sentiment Model are completely independent of any type of subjective analysis and are applied to a series of commercially available sentiment data in order to generate very high probability market turns, usually within one week. What is the algorithm or method of calculation? This method of calculation used by the Thovallo Sentiment Model is proprietary commercial intellectual property and is not disclosed publicly. 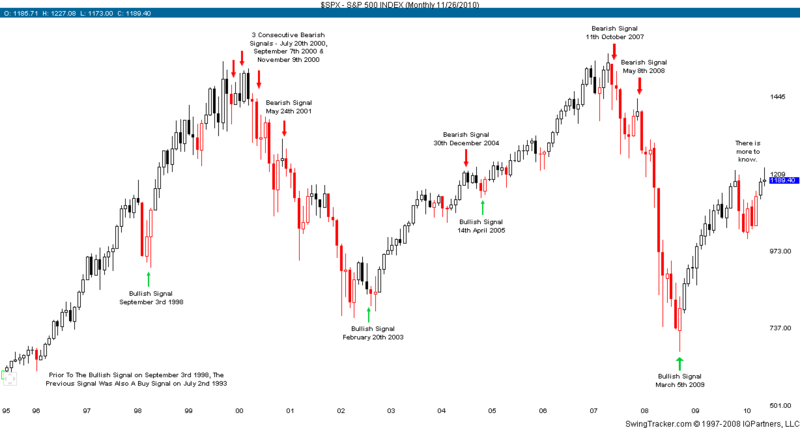 The Thovallo Sentiment Model has been proven highly reliable at signaling important market turns over the last 23 years as can be seen in the below chart of the S&P500 that covers the last 12 years and the exhaustive and complete list of each and every signal given by the Thovallo Sentiment Model in that time. In fact the Thovallo Sentiment Model’s accuracy is guaranteed, if it’s it not accurate it’s free. How Can You Get Access To The Signals? To get access to the signals as they occur you need to subscribe to the Thovallo Sentiment Model. Subscription cost is $199 which provides for one year of access to the model status and signals. The model is updated weekly on Thursday.